We found one of our discontinued Cain's Ballroom 18"x24" red art prints in the studio, and we're offering it up for Christmas. It is $30, and we'll ship for an extra $6. Locals can arrange a meeting to pick up prints. Send us a message if you'd like to purchase. This is the last red Cain's prints we'll have! 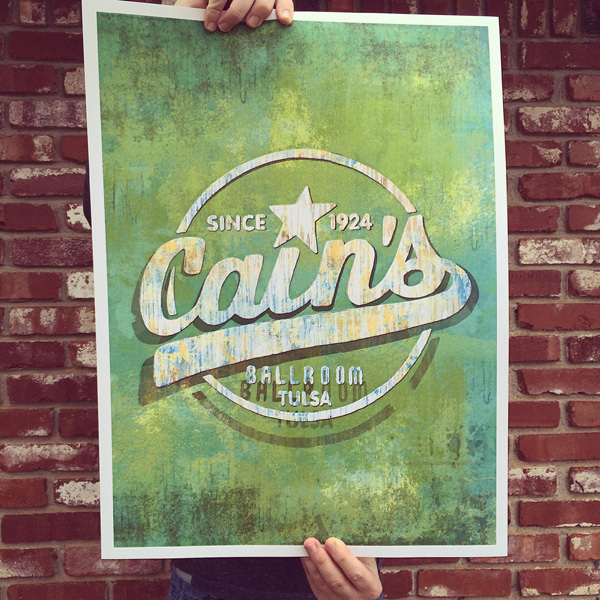 We found a few of our discontinued Cain's Ballroom 18"x24" green art prints in the studio, and we're offering them up for Christmas. They are $30/ea, and we'll ship for an extra $6. Locals can arrange a meeting to pick up prints. Send us a message if you'd like to purchase. These are the last few Cain's prints we have!